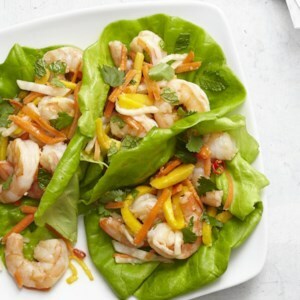 Find healthy, delicious low-calorie shrimp recipes, from the food and nutrition experts at EatingWell. 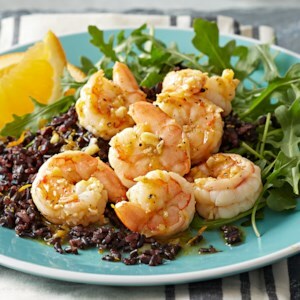 Drizzled with a citrus marinade and served over a bed of nutty black rice and zesty aruglua greens, this low-calorie shimp dish is ready in less than an hour. 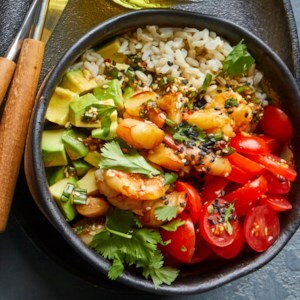 The secret ingredient in this recipe is the chipotle chile peppers, which give a smoky, almost sweet, heat to the dish without overpowering the other ingredients. 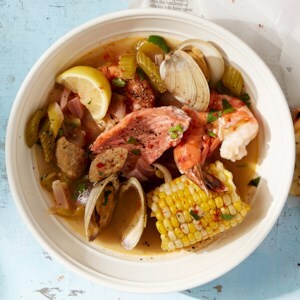 Chipotle chile peppers are smoked jalapeños and the adobo sauce is what the chiles are packed in when purchased in cans. 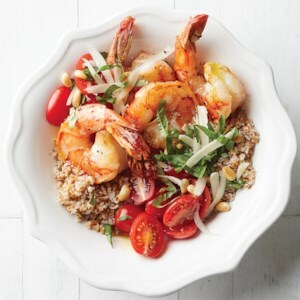 Topped with Parmesan cheese, pine nuts, and fresh basil, this savory dish is sure to leave you satisfied. 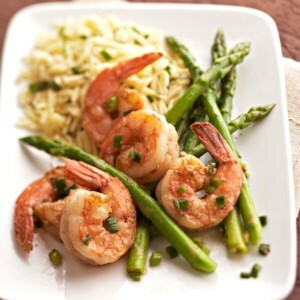 Cook asparagus in white wine to make this sophisticated shrimp dinner. Try it the next time you're entertaining. 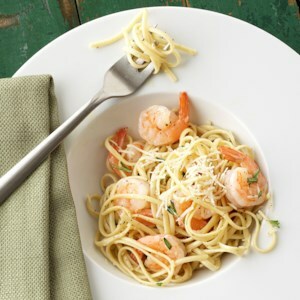 Have this fresh shrimp and pasta meal on the table in 30 minutes. 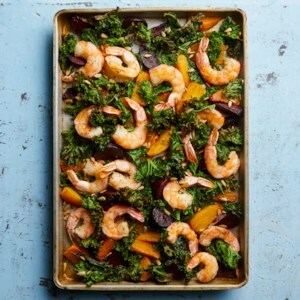 For this easy sheet-pan dinner, beets get a head start in the oven while you prep the shrimp and kale. 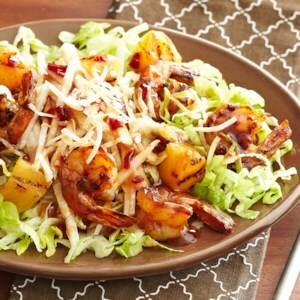 For a prettier presentation, leave the shrimp tails intact. 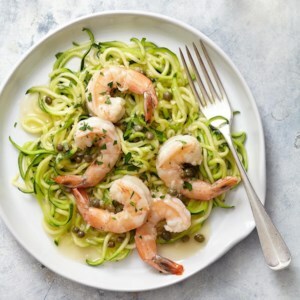 Serve this one-pan recipe with a cool glass of rosé. 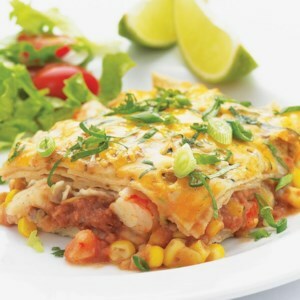 Make your sauce and pasta all at once with this fast weeknight pasta dinner recipe. 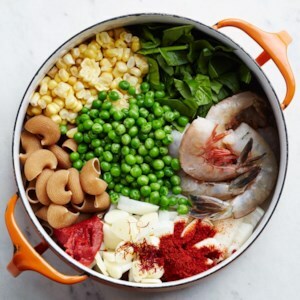 By using the exact amount of water you need to cook the pasta--no colanders here--the starch that cooks off into your pasta water, which you usually drain away, stays in the pot, giving you delectably creamy results. 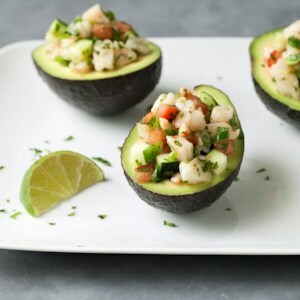 Rather than serving this easy mock shrimp ceviche with chips or tortillas, cut some carbs and pile the citrusy seafood in fresh avocado "bowls" for a fun and healthy presentation. 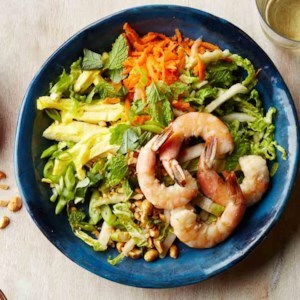 Transform pad thai into a healthy salad by swapping sliced cabbage "noodles" for the rice noodles--and save more than 100 calories. 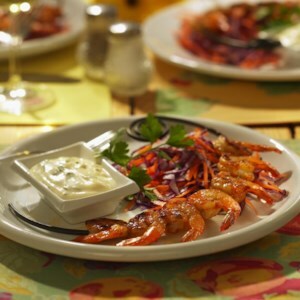 Look for sustainable shrimp certified by an independent agency, such as the Marine Stewardship Council. 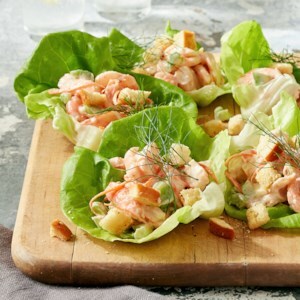 If you can't find it, wild shrimp from North America is likely to be sustainably caught. Noodle dishes like this one are often served as part of a Chinese New Year's celebration to symbolize a long, healthy life. 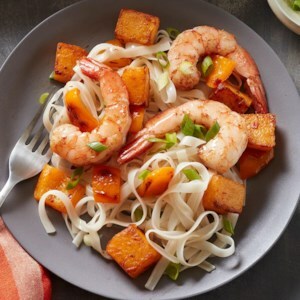 In this easy recipe, butternut squash adds another layer of meaning with a golden color evocative of a prosperous year to come. 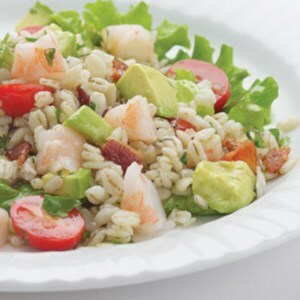 Here's a great example of how to cook a healthy dish in minutes--simply cook the bacon in the same pan as the barley to enrich the flavor, add some purchased cooked shrimp, a few aromatic vegetables, and you've got dinner (or a hearty potluck dish) in no time flat. 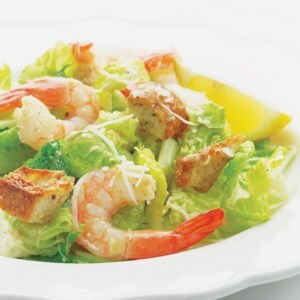 While most Caesars drown the greens in a heavy dressing, this lemony version lets the taste of the shrimp shine through. 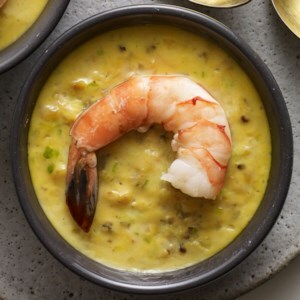 Don't worry about the anchovies--they'll mellow in the dressing, giving it a rich taste that can't be duplicated.